Welcome to the Saturday Night Showcase! 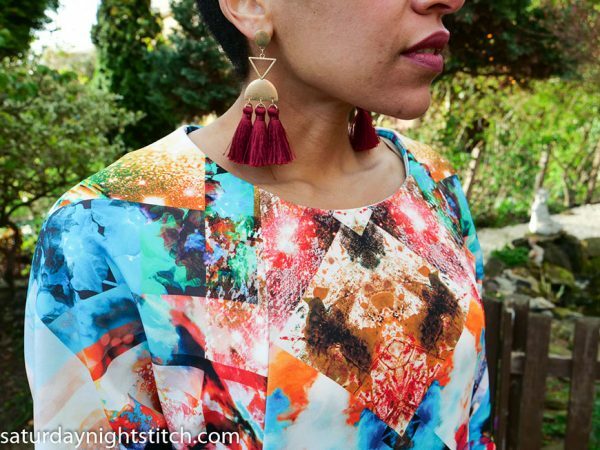 A collaboration between blogger, Hila, from Saturday Night Stitch, Fabworks Mill Shop and Sew Different. 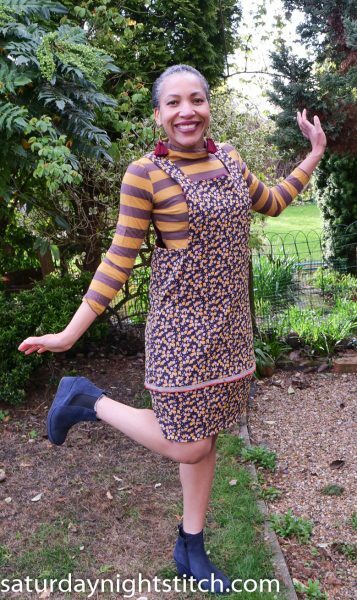 Hila has produced a unique collection that encapsulates her quirky, upbeat style using fabrics from Fabworks and, of course, patterns from Sew Different. 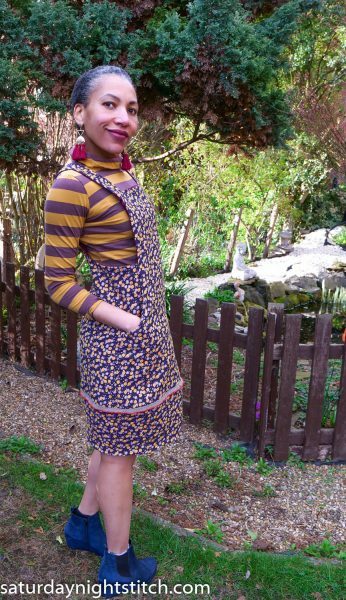 Hila’s Scoop Pinafore is made from a marigold design jacquard fabric (£10/m) which holds the structure of the tulip-shaped skirt perfectly. 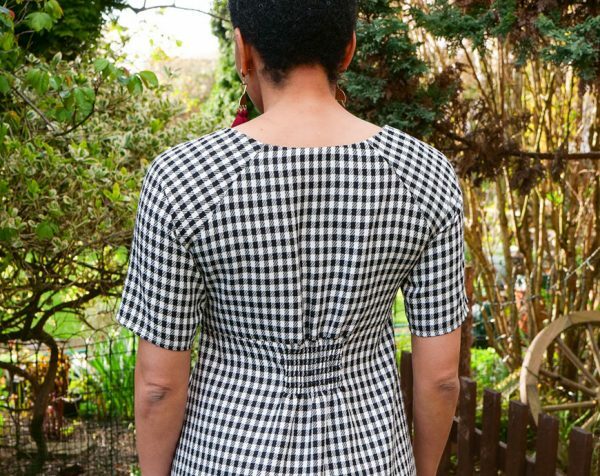 She has made great use of the pretty selvedge by incorporating it into the bottom seam of the pinafore skirt. 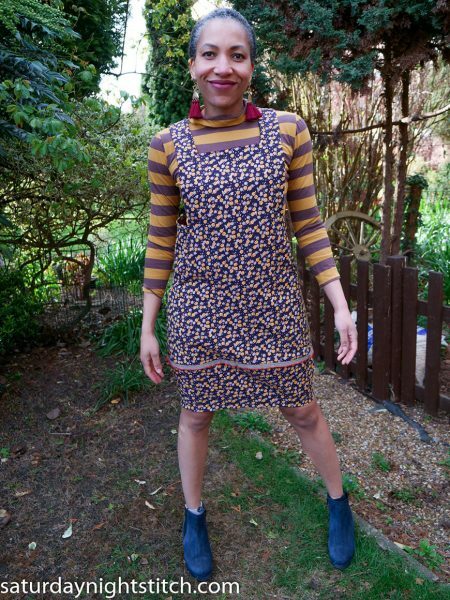 Hila has used three different colourways of a polyviscose mix called Leopard Shadows for her take on the Moon Pocket Maxi. 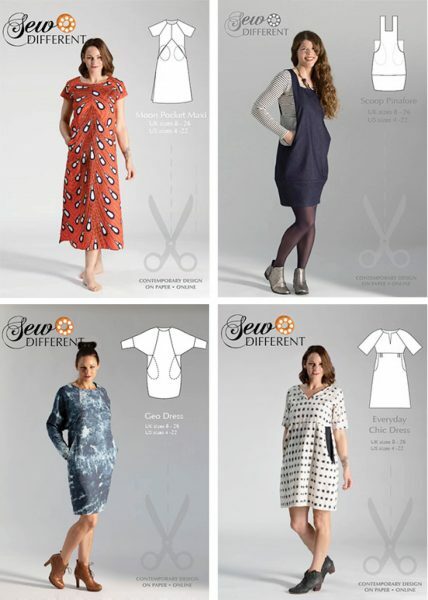 Finally she has cut the bottom to create a hi-low hem! 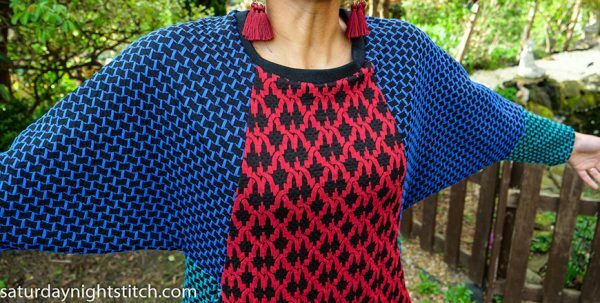 She has also added some ribbed cuffing for the neckline! She has centred the large diamond for a symmetrical look. 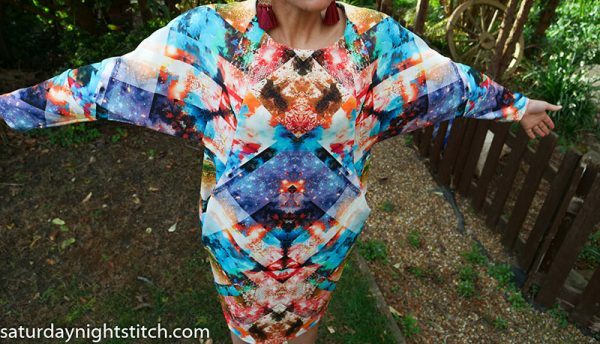 Most of this dress uses the overlocker for a super-quick finish. She has used machine smocking to pull the dress in at the back and under the bust for a closer fit.. 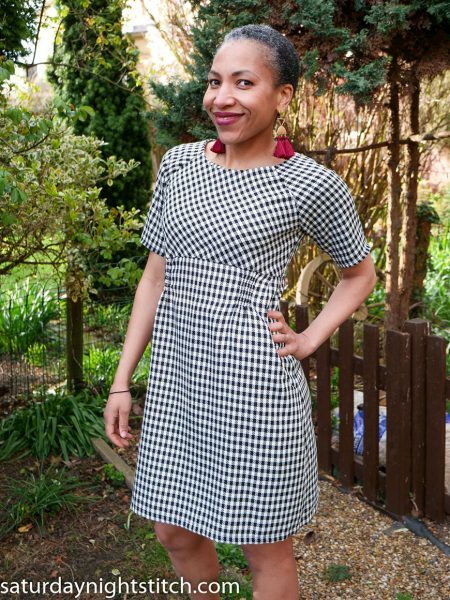 This pretty version of the Everyday Chic Dress uses a polycotton gingham (£5/m). Hila has cut the fabric for the bodice on the bias.Her giant pockets (where she keeps her kindle) are satin-lined! 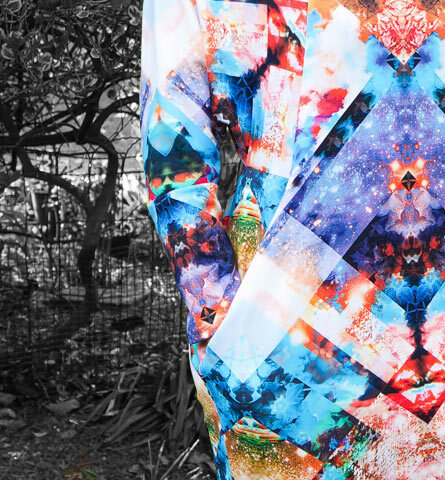 To see more details of this collection (and some great dance moves from Hila), have a look at her Youtube video. I love the way she wear her clothes inside out so you can see the construction! 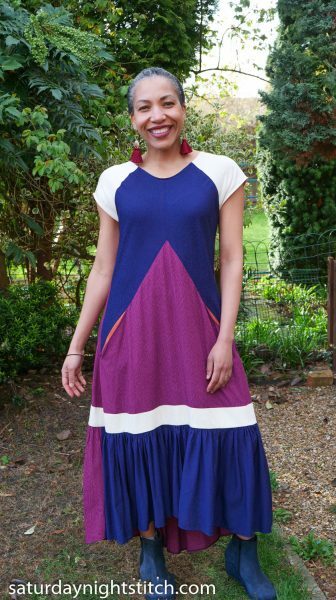 You can find the patterns on the Sew Different website shop and all the fabrics are available from Fabworks Mill Shop. 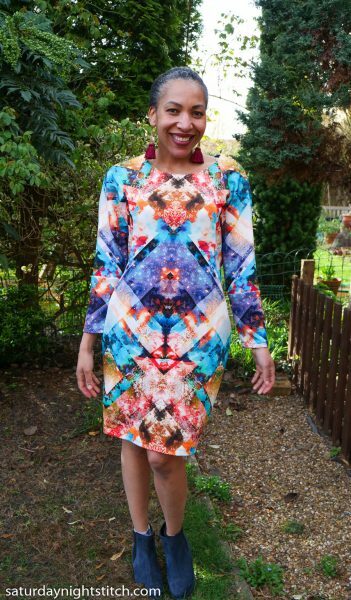 Hila is an entrepreneur, blogger, Youtuber and unshakeable optimist with a passion for creating. 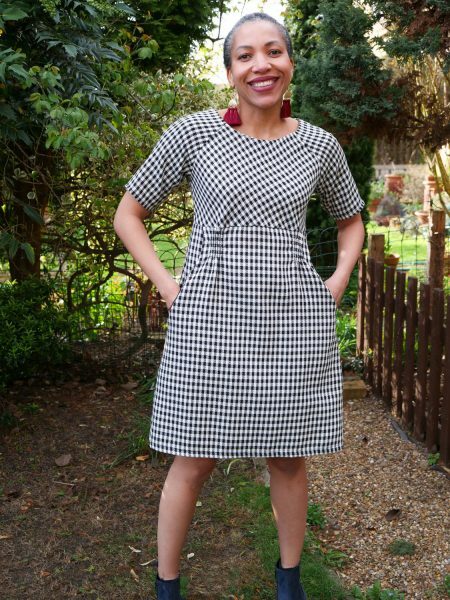 She started blogging on Saturday Night Stitch as a way to catalog her sewing endeavors but quickly fell in love with sewing and now has a YouTube channel with a thriving community where she shares, inspires and motivates others to engage with sewing in a joyful way. You can follow her antics on Instagram here. ← Previous Post: Essential Denim Dress – the Fix!